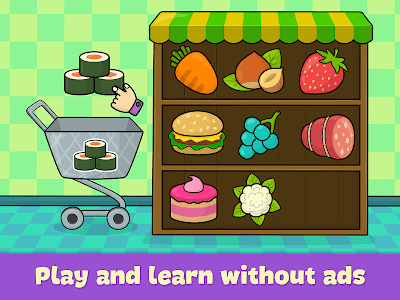 Educational toddler games for pre-kindergarten kids. 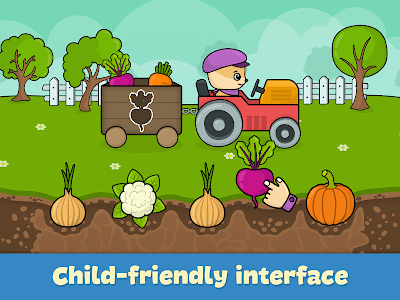 Our app has 15 pre-k activities for toddlers that will help your baby develop basic skills like hand eye coordination, fine motor, logical thinking and visual perception. 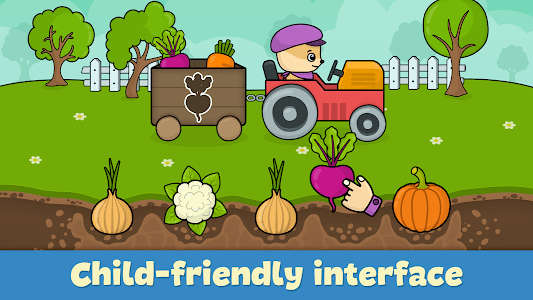 These games will suit both girls and boys and can be a part of pre-kindergarten & preschool education for kids. Size game: Understand differences in sizes by sorting inventory into correct boxes. 123 game: Counting for toddlers to learn numbers 1, 2 and 3. 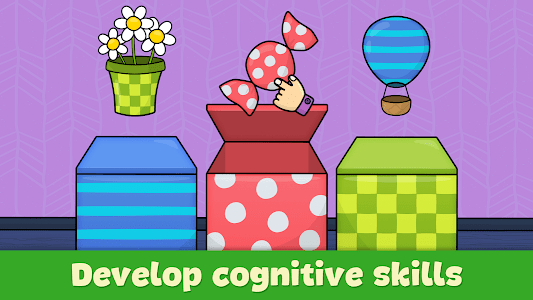 Puzzle game: A simple puzzle for kids to improve hand eye coordination. 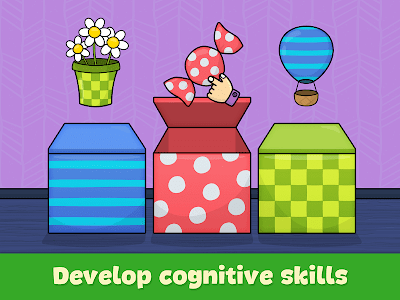 Logic game: Develop memory and logic with cute animals. 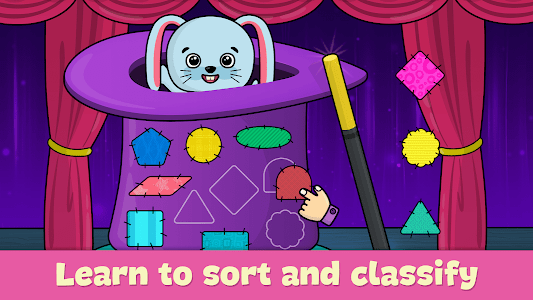 Shape games: Sort items by shape to develop visual perception and hand eye coordination. 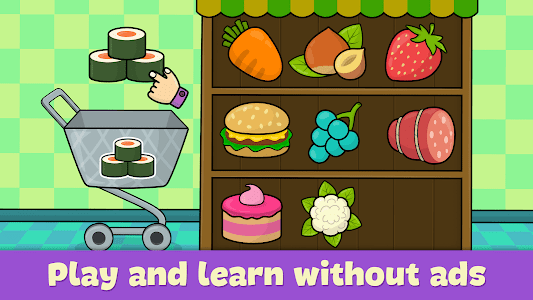 Color games: Sort items by color while riding on a train or equipping a boat. Logic game: Understand the purpose of the items shown. 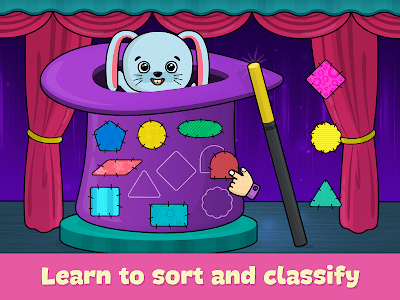 Pattern game: Develop visual perception by sorting items with different patterns. Memory game: Choose correct object that was shown earlier and fits others by its type. 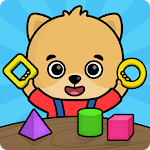 Attention game: Develop attention and fine motor skills in a simple but very entertaining game. 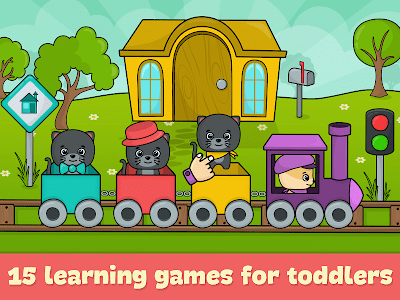 Toddler games are perfect for pre-k and kindergarten children who want to learn by playing. Ages: 2, 3, 4 or 5 years old pre-kindergarten and kindergarten children. Similar to "Toddler games for 2-5 year olds"
Kids Animals Jigsaw Puzzles ❤️?